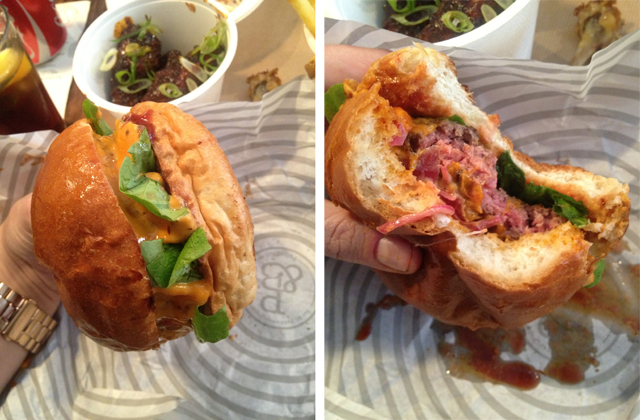 Is Patty & Bun the new best burger joint in London? 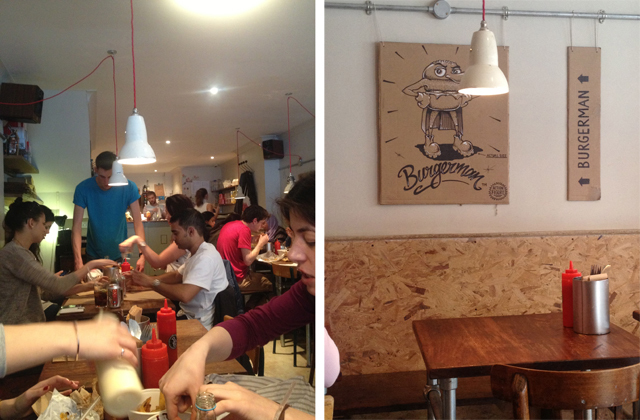 There seems to be a growing trend in London for restaurants that make you queue and the latest hits have all involved burgers. It seems we, the people of London, don't mind how long we have to stand out in the pouring rain as long as there's a burger in our future. 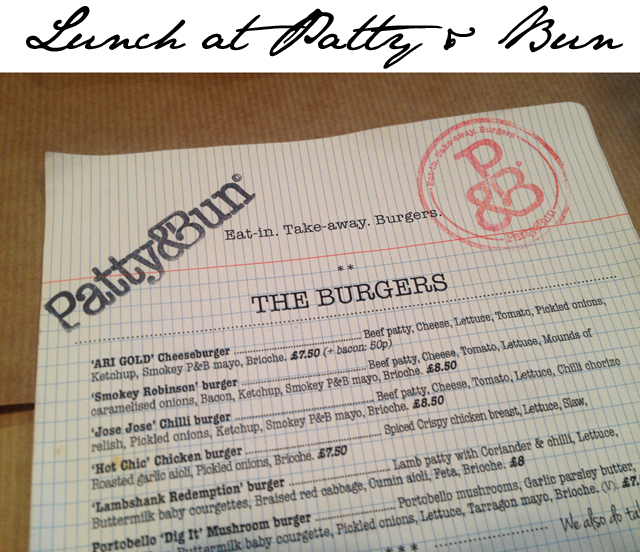 A few weeks ago Mr. FFG and I waited in line at Patty & Bun for some time before giving up and going to grab a burger around the corner at an inferior, yet queue free, establishment. There's only so long someone can wait with a grumbling tummy at night. We put it all down to bad timing. It was 7pm on a Friday night, a total amateur burger enthusiast move. So this time around we thought we'd make our approach at an off peak time. Well, folks, it appears Patty & Bun doesn't have an off peak time of day. At 3pm, a time more commonly associated with afternoon tea, there were still over 20 people waiting to be seated at Patty & Bun. 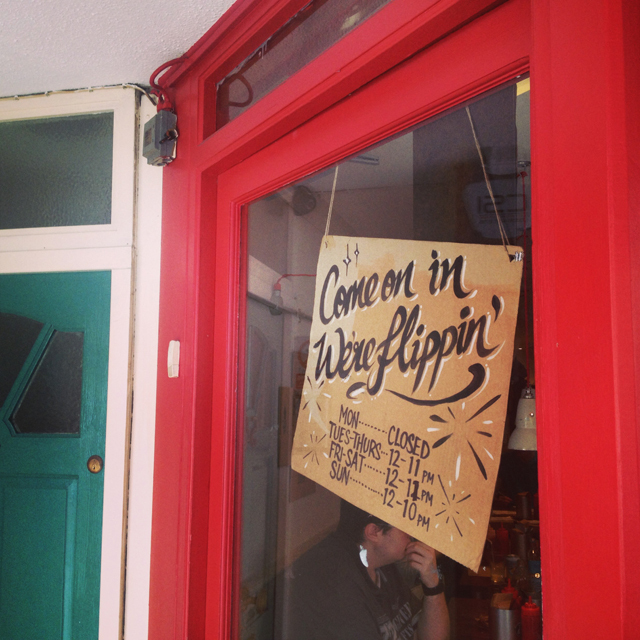 As the restaurant only seats 30, the turnover isn't the speediest. However, on this day we both had clear schedules and planned on waiting it out, no matter the length of time involved or the leg cramps that would ensue. After a 35 minute wait we were led to our tables by the extremely kind wait staff. The relaxed atmosphere certainly didn't mean slack service. Our order was taken immediately and it took a flat two minutes for the drinks to arrive on the table. It couldn't have been ten minutes later that our food arrived on a tray as the waitress smiled and encouraged us to enjoy the experience. 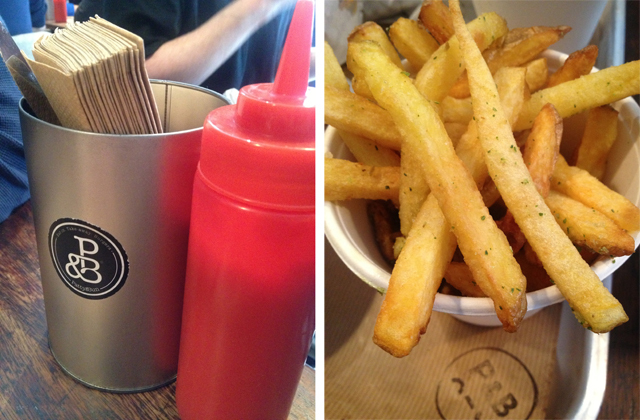 At Patty & Bun the menu is not at all complicated. It's one sheet featuring a mix of burgers, chicken burgers, wings and sides. Mr. FFG and I opted for wings, fries and an Ari Gold burger each. I'd been told the Ari Gold was a thing of pure genius and an experience not to be missed. 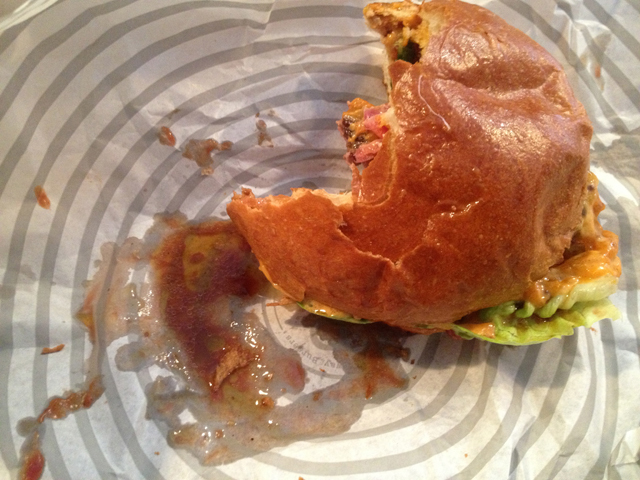 It turns out my friend knew a thing or two about burgers as this was quite the moment. The combination of beef, cheese and pickled onions on brioche was so perfect that I actually let out a moan after my first bite. Yes, I was having a "When Harry Met Sally" moment in the flesh. Folks, this is one burger not to be missed. Is it worth the 35 to 90 minute wait? Well, I can't answer for you on that one... but I will say I would have waited at least another twenty if I knew what lay ahead for me inside. 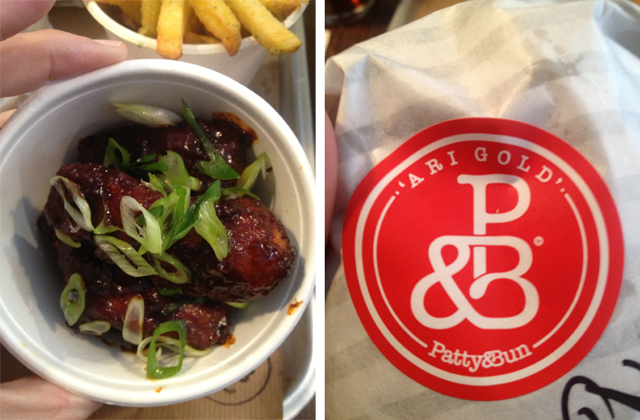 While I'm not entirely sold on the chicken wings, I must say the Ari Gold is the best burger I've had in London to date.